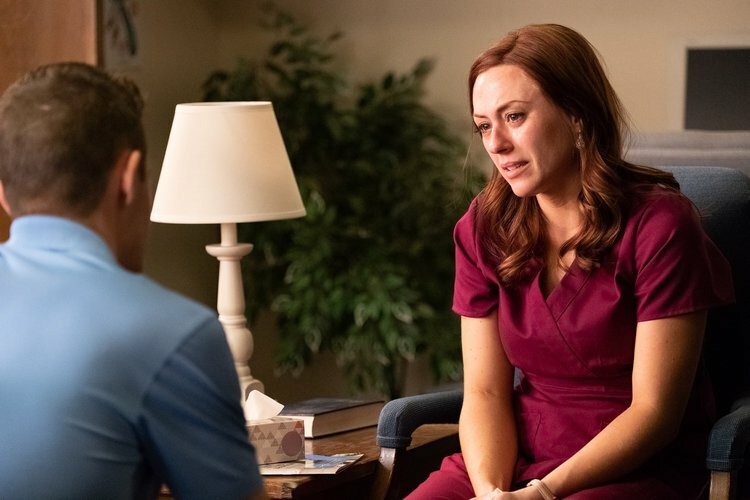 On March 29, 2019, the pro-life movie UNPLANNED opens in theaters and follows the true-life events of former abortion clinic director Abby Johnson. Movieguide® had the privilege of attending the red carpet premiere of UNPLANNED in Hollywood, California and after talking with the filmmakers behind the movie and some of the cast, we came away with three reasons why everyone should support this upcoming movie. If you didn’t know how abortions take place, prepare for some gut-wrenching scenes. The Christian filmmakers behind UNPLANNED don’t shy away from depicting the evil that takes place to remove a baby from its mother’s womb. The visuals are powerful, something that Abby Johnson noted when Movieguide® talked to her on the red carpet. “Visually, we are moved in a different way than what we are [moved] by [when] we read. So, I knew that it was very important that we put this up on the screen for people to see. Our culture is desperately looking for truth on this issue [and] that’s exactly what they’re going to get in this film.” Lead actress Ashely Bratcher who plays Abby stated, “I think the general public has no idea what happens during a procedure, and I’m really, really looking forward to ripping back the curtain, saying this is the truth, and you get to make the decision for yourself. It’s an opportunity for people to have a conversation about what’s really happening behind the scenes,” she concluded. Although rated “R” from the MPAA, there’s a disturbing irony that women under the age of 17 can get an abortion, as the movie also depicts, but they can’t see this movie. After seeing UNPLANNED no one will be able to claim ignorance when it comes to the abortion industry. While the violence isn’t gratuitous, it is intense, so Movieguide® doesn’t recommend the movie for young children. UNPLANNED also gives hope to those who’ve had an abortion or worked in the abortion industry. UNPLANNED may fall into the faith-based genre, but it’s a powerful story is one that shows that the Gospel is powerful, transformational and for all people. Abby’s transformation will help audiences see that God’s forgiveness is real and only through Christ’s life, death and resurrection can one find complete healing. The real-life Abby Johnson said, “redemption…means ‘newness’. I received a new heart in Christ when I took this step…. We all need it, that’s the thing, that’s what I think is so beautiful about this film. It gives all of us the opportunity to experience this conversion moment.” During the movie’s credits, the filmmakers were intentional about providing resources for those hurting from abortion or those who want out of the industry, just like Abby did. Mr. Rogers Shares Biblical Message About Learning from Children!